Valerie Stimac is founder and editor of Space Tourism Guide. She started the site after realizing how many friends and family had never seen the Milky Way, and that space tourism was going to unlock the next great travel destination: space! 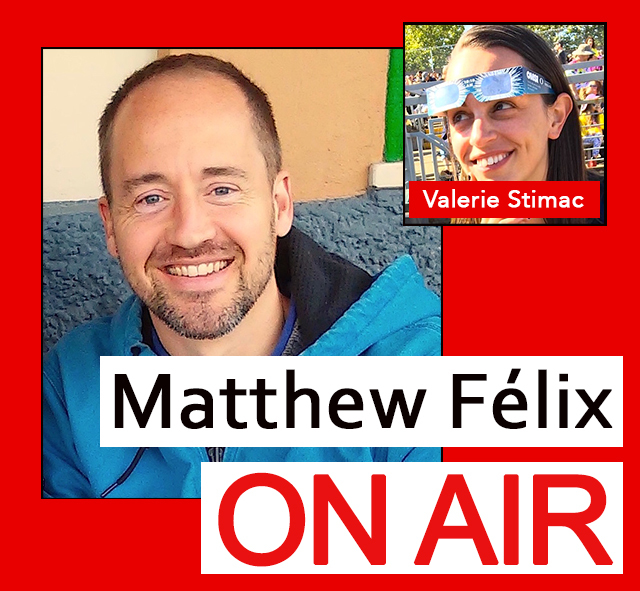 For this, my first show of 2019, I talked with Valerie about what “space tourism” encompasses, from happenings here on Earth (e.g., stargazing, watching rocket launches, and her experience at space camp!) to when we might be able to plan our next vacation on Mars (i.e., the latest on space-travel efforts underway by Branson, Musk, Bezos, and more). Next week it’s New York Times bestselling author of the Aimée Leduc mystery series, Cara Black, talking about her most recent book, Murder on the Left Bank, and hopefully her upcoming book in the series as well!